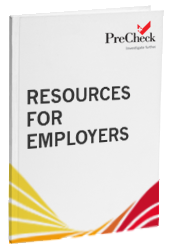 There are many key considerations for building an effective background screening program for healthcare organizations, but our background screening resource kit puts many of these in one place. To access our resource kit, simply complete the form below. Not all background screening providers are equal—especially when it comes to screening healthcare talent. Know what questions to ask when selecting your screening partner. The background check process is complex especially in a highly regulated industry such as healthcare. Establish a compliant screening program by learning what mistakes to avoid when reviewing your policies.